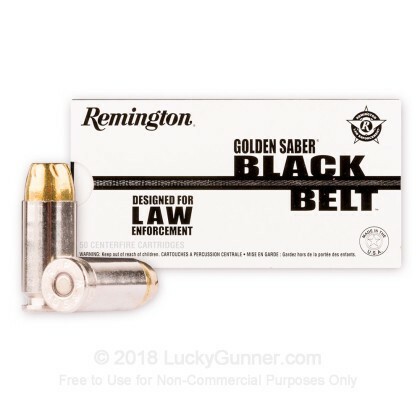 Black Belt ammunition is the latest revision of Remington's renowned Golden Saber line of self-defense cartridges. 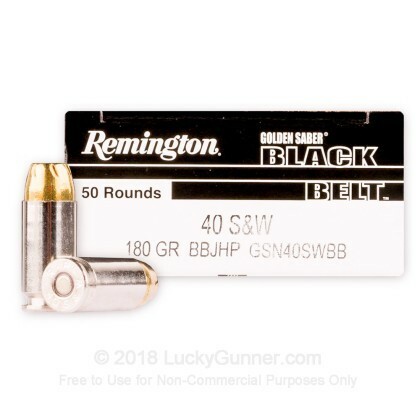 This .40 S&W ammo was originally designed for law enforcement use, making it an excellent choice for concealed carry and other personal protection applications. 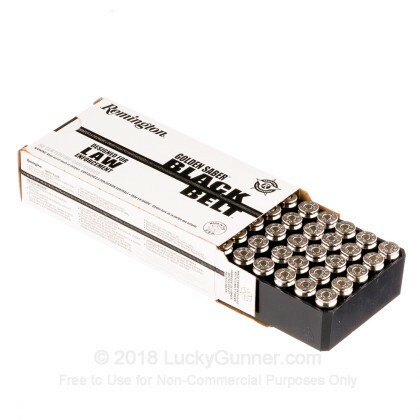 The signature feature of Black Belt ammo is the MechaniLokt belt, which keeps the core and jacket bound together while facilitating the effective expansion of the spiral-cut bullet. 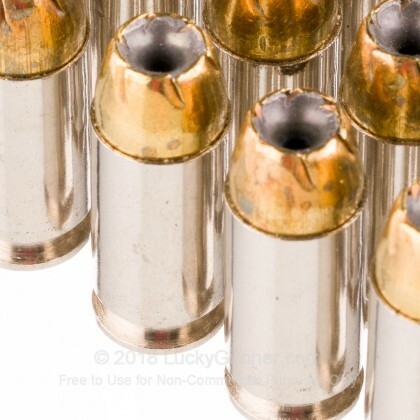 Each cartridge in this 50-round box fires a heavy 180-grain brass jacketed hollow point projectile. These features combine to produce strong penetration and expansion, ensuring that a well-placed shot will stop an assailant quickly and decisively. 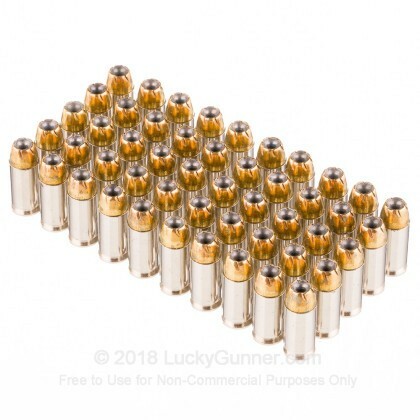 Like most .40 S&W ammunition, this load produces flat trajectories, good accuracy, and substantial felt recoil. Remington ammunition is loaded in Lonoke, Arkansas using non-corrosive Boxer primers and brass cases. 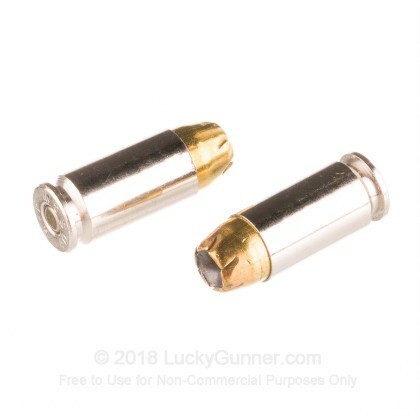 The Golden Saber product line features nickel-plated brass; this improves corrosion resistance and provides additional durability for ammo that is meant to be carried often without actually being fired.